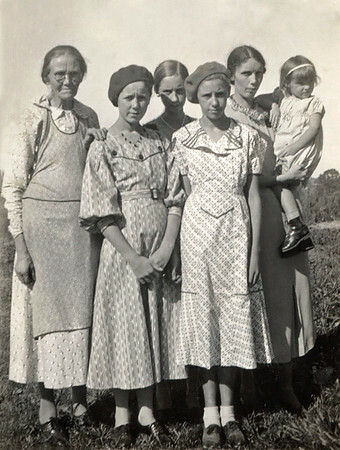 Sarah and Michael Doss and some of their 9 daughters. 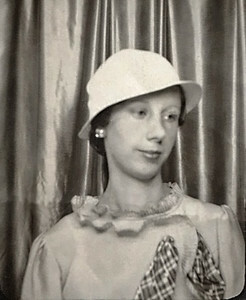 These photos were scanned from the family photos of Hazel (Doss) Davenport, my grandmother, and Norma (Davenport) Wright, my mother. 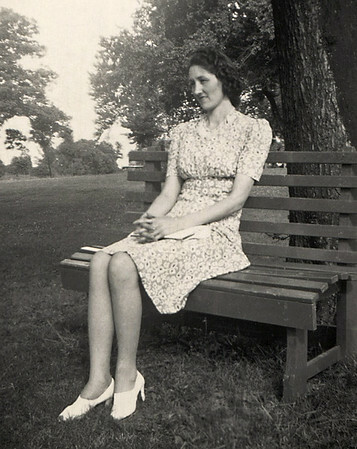 The original photos were mostly small ones; I've enlarged them a bit, but don't expect these images to look good if you try to view or print them too large. 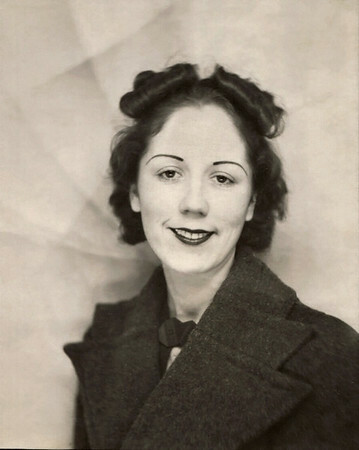 Hazel (Doss) Davenport. 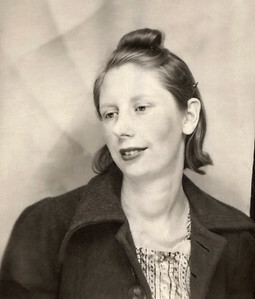 Photo dated Aug. 59. 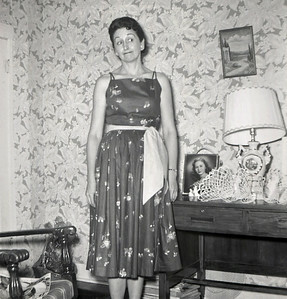 Note photo of Norma on table. 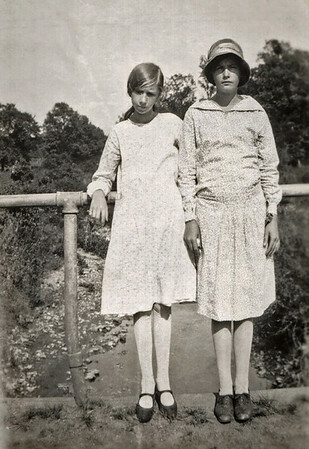 Sisters Hazel and Vivian Doss. 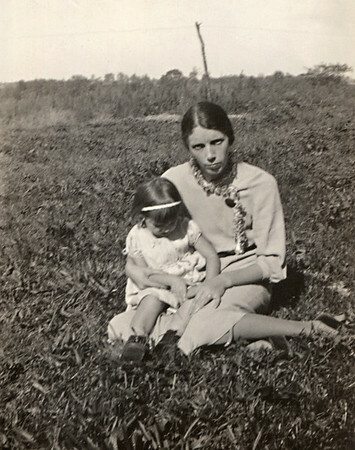 Back of photo says "Mom & Viv" so was probably written by Norma. 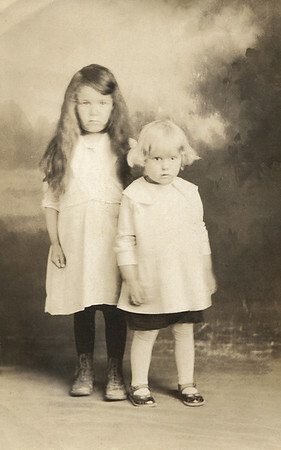 Studio portrait of young sisters. 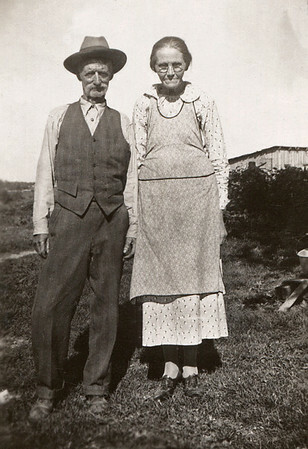 On the back is written: "Olive and Ruby Doss"
Photo is not labeled. 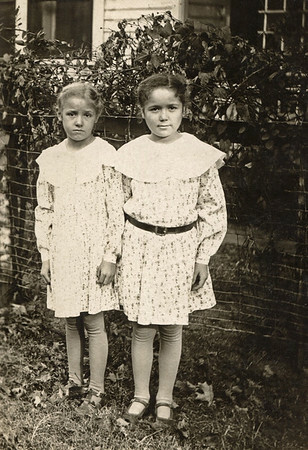 These two young girls may possibly be Ruby and Olive Doss? 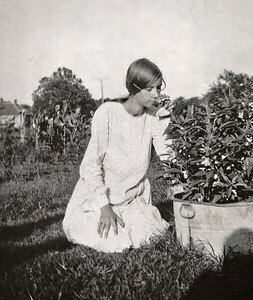 Doris Doss in the flower garden. Back of photo is marked: "Doris"
Back of photo says "Miss Hazel Doss, age 17, Mtn Grove Mo"
Back of photo says: "Mike Doss, Sarah, Mtn Grove"
Michael, Ruby and Olive Doss. 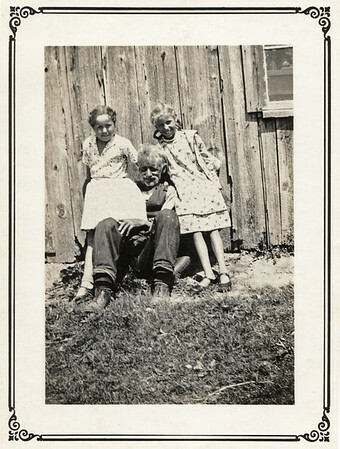 On the back is written: "Olive & Ruby & Papa"
Small portrait. 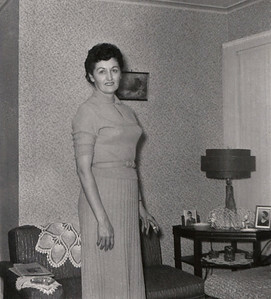 On the back is written: "Sarah Doss"
Hazel (Doss) Davenport in her living room. 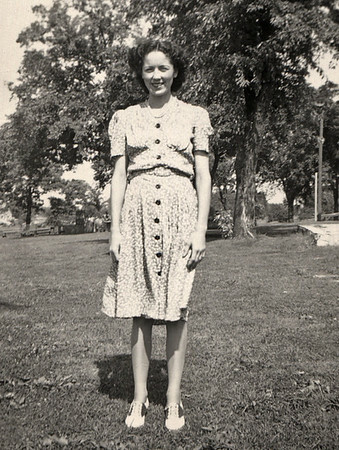 Photo processing date is Oct. 1959. 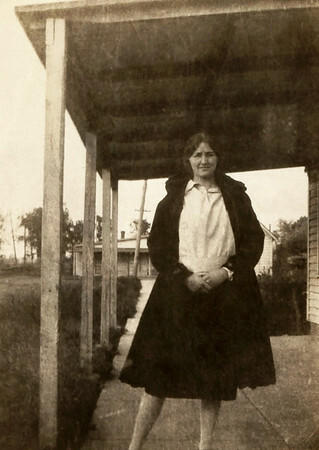 Olive Doss Essick standing in the yard. 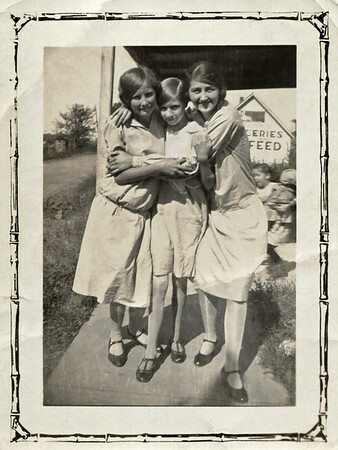 Back of photo is marked: "Olive"
Daughters of Michael and Sarah Doss. 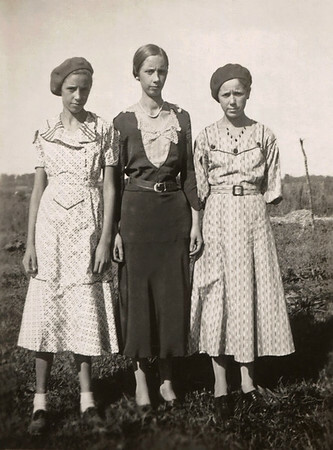 Back of photo is marked: "Ruby, Doris, Olive"
Hazel (Doss) Davenport, Smith Park, Springfield, Missouri. 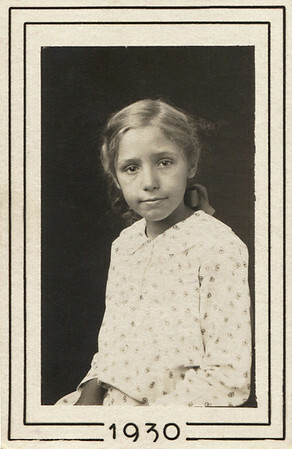 Back of photo is marked: "Ruby Doss" In 1930, Ruby would have been 8 or 9 years old. 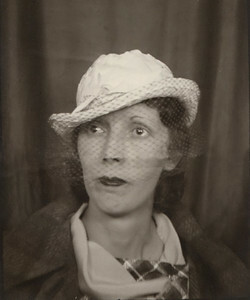 Photo is marked: "Vivian Doss" Small photo was badly damaged, significant restoration attempted. 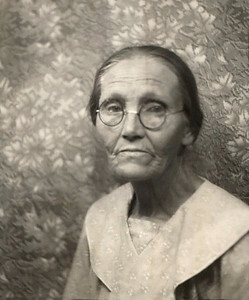 On the back back of the photo is hand written: "Miss Hazel, Edna and Doris Doss. Ain't we three nice lookers. 1860 North Lyon St. Springfield, Mo." And a rubber stamp: "SCHUPP & SON, Mountain Grove, Mo." 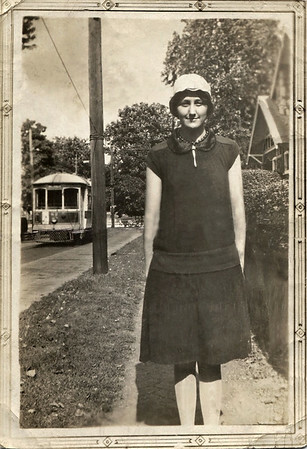 Hazel Doss on a sidewalk with a street car in the background. 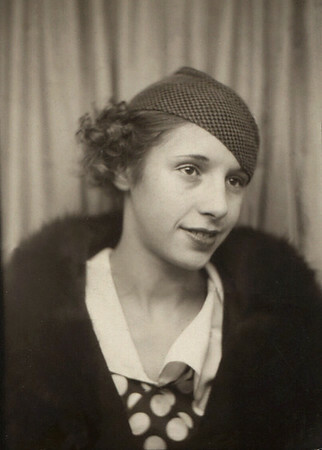 On the back back of the photo is a rubber stamp from: "Pettite Photo Co, 219 Commercial Street" (Springfield, Mo). 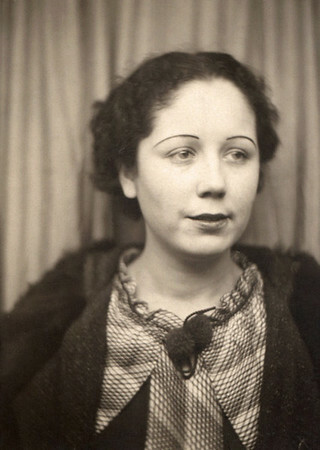 If the photo doesn't look quite right it may be because it was badly damaged, and required extensive restoration. 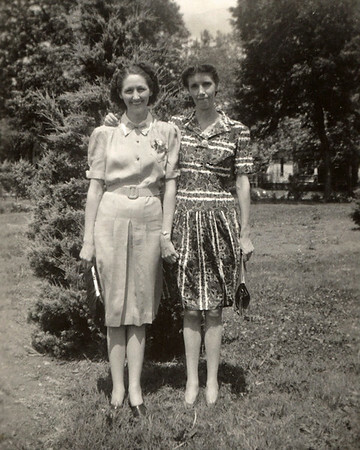 Back of photo is marked: "Vivian & Lois"